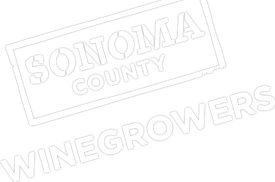 The Sonoma County Winegrape Commission started its new fiscal year on July 1st. We have produced a brochure showcasing the value of the Sonoma County Winegrape Commission and our successes over the past several years. This includes our marketing and promotional efforts, strategic partnerships, consumer and wine trade events, local community outreach, grant funding, and positive response to our sustainability commitment. This brochure was mailed out to growers last week and should have arrived in your mailboxes.